Katurian K. Katurian just wants to share his stories with the world -- which, for him, happens to be a totalitarian police state in the far-off future. He finds himself in an interrogation room with two brutal police officers questioning him about his short stories. But what starts off as a seemingly typical dystopian storyline morphs into a twisted tale of torture, innocence, art and brotherhood. Is Katurian being interrogated for expressing himself creatively, or is it something darker -- something any good cop would investigate? 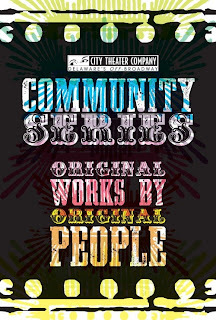 The roles that seem so clear-cut over the first half hour of The Pillow Man, Bootless Artworks' second show in their first season as a professional theater, become more complicated as the show progresses. Written by Irish/English author Martin McDonagh and directed by Daniel Student, The Pillow Man follows Katurian and his brother Michal (who has the mental capacity of a young child) through a nightmarish day in prison. As Katurian, Sean Close is a sympathetic everyman who lives for his art. Katurian's stories are sick and twisted, the result of a shocking childhood. Michal, played by the engaging Kyle Yackoski, is the only family he has, and his biggest fan. They are lorded over by the two police on their case, Detective Tupolski (Jim Ludovici), the "good cop," and Detective Ariel (James C. Jackson), the "bad cop." As the show progresses, the seemingly caricatured cops develop in unexpected ways. Villains become anti-heroes, and maybe even almost-heroes. It's up to you to reconcile their brutality, and the (possible) brutality of the brothers. Everything in The Pillow Man hits the mark, from the performances to the set design to the sound, lighting and video. TV screens survey the action at times; at others, they enhance the stories. Katurian's stories are shared, sometimes told within the scenes and sometimes told with the aid of some very creepy Little Bunny Voodoo puppets. The stories within the story are like mortar -- without them, the larger piece wouldn't hold together. 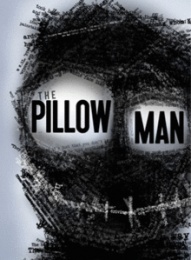 The title character, the Pillow Man, is a creation of Katurian (or is he?) who benevolently aids in the suicides of young children who are doomed to lead horrific lives. When they say this is a black comedy, they mean it -- this is about as dark as it gets. It's closer to horror, really. If you can take it, this is a show you should not miss. The Pillow Man runs through April 9 on Fridays and Saturdays at 8:00 p.m., with a 3:00 p.m. matinee on Sunday, April 3, and a an "Industry Night" on Thursday April 7 at 7:30 p.m. Shows are located at Bootless' temporary site at 980 Justison Street in the Shipyard Shops (just past Planet Fitness). Tickets are just $16/$12 for seniors and students. For tickets, call (302) 887-9300 or e-mail the box office at bootlessinfo@gmail.com. The Art of the Fugue has long been a challenge to keyboard artists, trying to play different voices in the fingers – but when the Copeland String Quartet plays it as a quartet – each voice takes on its own timbre and texture. Mark Ward had his colleagues play each theme and voice before they played eight of the twenty of the fugues Bach wrote in his Art of the Fugue. The musical blend had the grace of four independent players – each trading the fugal voices, which wove a tapestry of sound throughout the stone church. The last fugue, as we had been warned, was not finished and they played it to the last notes Bach had written which inspired the audience to loud applause, a proper salute to Bach who was born 326 years ago this month. The Schumann String Quartet in A major, Opus 41, No. 3 was a major scene change. Where Bach had created four independent voices for fugal polyphony, Robert Schumann was thinking in chordal harmony – making his quartet like his piano compositions. In the Andante espressivo, the first violin plays an A against the second violin’s held G – before the second moves to the A. Only professionals can tread this murky water and Eliezer Gutman and Tom Jackson had that harmonic tension and resolution beautifully controlled. The quartet managed the Assai agitato with its many tempo, meter and mood changes without a hitch – communicating all of the dynamic and mood changes. You can feel that they have worked together long enough to sense each other’s tempi and expression. The viola and first violin playing the melody over the ostinato of the second violin and the well-placed pizzicato of the cello were highlights in the Adagio molto and they took the Finale with no holes barred on speed – yet their ensemble was fluid as they built to a smooth and musical crescendo. 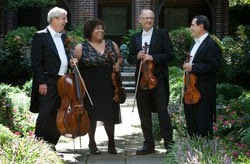 The quartet has two CDs out (see web site) and their next Holy City concert will be on May 22 at 4 p.m. The Twin Poets' Powerful Premiere of "Why I Write"
A full-length movie featuring nothing but the spoken word art of Al Mills and Nnamdi Chukwuocha, also known as the Twin Poets, would be compelling, entertaining and moving. "Why I Write," the Hearts and Minds Films documentary about the duo takes it further and offers so much more. 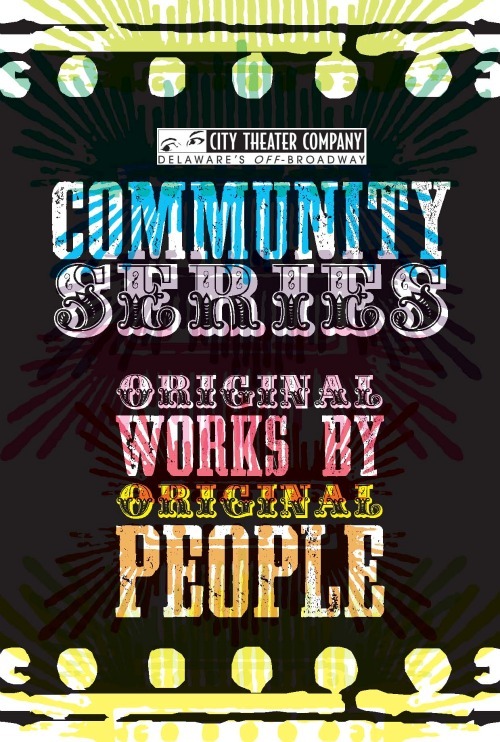 Directed by Sharon Baker, the film intersperses the twins' amazing art with their amazing social work, showing how interconnected all of it is. Identical twins Al and Nnamdi -- social workers, activists, military veterans and poets -- grew up in the harsh Riverside neighborhood of Wilmington they serve. Unlike so many kids growing up in Riverside, they had a strong parental base, and were especially influenced by their late father, activist William "Hicks" Anderson. Al and Nnamdi are walking examples of the power of involved fatherhood in the inner city community, and, no surprise, are involved fathers themselves, not only to their biological children, but to all of the children in Riverside. They are tireless in their devotion -- they spend their days working with kids at Kingswood Community Center, public and inner-city charter schools, afterschool programs, and in the homes of high-risk kids. They comfort fearful youngsters, counsel young boys treading perilously close to being lost and encourage young girls to respect themselves and reach their goals. They shed tears with children who have lost parents to violence. It's a difficult calling, but, somehow, they keep their senses of humor. If Al and Nnamdi wanted it, they could be millionaires, living in California mansions, instead of being social workers in lil' old Wilmington. Their spoken word poems, delivered in a distinct way that I'm not sure would be possible for non-twins, are that good. They've had their own HBO special, and they've had offers from rappers who wanted to use their words. 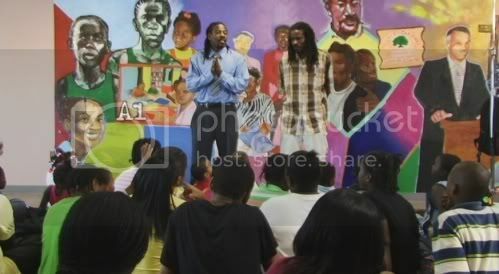 The Twin Poets, while they work in words, are not rappers, and have no interest in being connected to to the often thuggish genre, even for big money. Their integrity is almost overwhelming. Honestly, judging by the reaction to their work, they might land that success anyway. Teleduction has plans to show "Why I Write" around Wilmington and in film festivals around the country. Connect with the "Why I Write" Facebook page for information about the upcoming DVD.